Spain – Fluge Audiovisual is one of Spain’s most prolific AV rental companies. It also has one of Spain’s biggest stocks of DiGiCo consoles, most recently purchasing a further two SD10s. 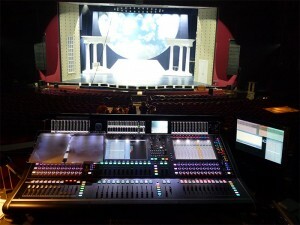 Fluge first started investing in DiGiCo when the company launched its D5 Live consoles back in 2002. Raúl is convinced that working with DiGiCo has helped Fluge to become a reference in Spanish live audio, theatre productions and installations. This year alone, the company has worked on an extremely impressive list of projects that includes tours for Alejandro Sanz, Manolo Grazia, Malu, Migue Bosé, musicals such as Mamma Mia and Priscilla Queen of the Desert and a raft of festivals from SOS, Viñarock, Festival de Les Arts, Azquena, BBK Festival and Vitoria Jazz Festival to FIB (Festival Internacional de Benicàssim). “We have every console that DiGiCo currently manufactures in our inventory from the S21 to SD7,” Raúl continues. “We work on events that go from 16 inputs and eight outputs to musical or broadcast productions with 128 inputs or more and 64 outputs, using HMA fibre connectors, MADI, CAT5, in fact everything you can think of. “We have taken delivery of the two additional SD10s because, here in Spain, it is the most popular touring console and we need to have more. We have a stock of more than 25 DiGiCo consoles and we are really satisfied with them.